Met a friend of mine from Columbia who also likes to eat. 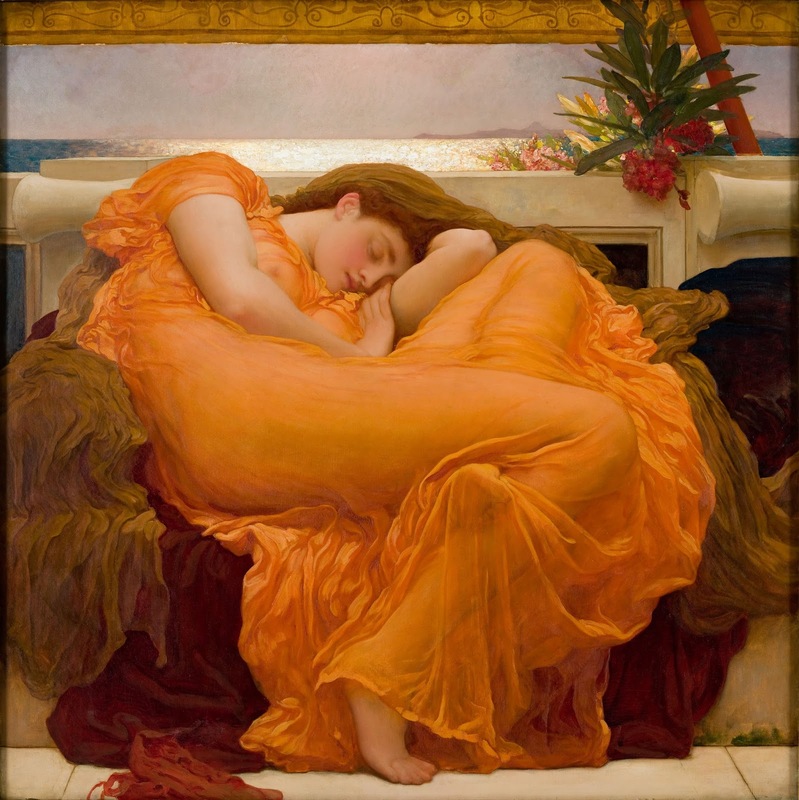 Our plan on a fairly flamingly hot July day was to go see "Flaming June," temporarily on exhibit at the Frick Collection, then head up to the Met Members Dining Room for a decadent brunch, followed by a turn around the museum. First off, here's June just in case you don't know her. What a color! I love the Member Dining Room. The Member-ness of it gives an air of exclusivity (I remember when it was the TRUSTEES Dining Room and members were only allowed in the summer...) and makes me feel like I'm putting my membership (mom gifts it to me for my birthday every year) to good use. The vibe is very 70s, lots of wood panelling, but a need for a refresh is incredibly easy to forgive when you get ushered to the Panglossian best of all possible tables and feel like all of Central Park is your own private garden. Started with a bloody mary and a basket of excellent assorted bread (Cleopatra's needle in the background). Moved on to a blue crab salad with a bit of mango and a dollop of avocado puree--and a fried strip of plantain, which I assume makes it all seem terribly exotic to the blue-haired matrons who dominate the Met patron-base. Then I went for eggs benedict (with salmon and spinach) which I admit is an awfully tame choice, but sometimes the classic brunch dish is just the thing. And I finished with a slice of almond tart, with a little panna cotta to keep it company. To me, even more than day-drinking, day-desserting is a sure sign of decadence. Felt pretty much like June herself after that meal--very ready to nap a hot afternoon away. Thankfully John Singer Sargent's portraits and some mind-blowing art from Decca in India kept us on our feet.